The original Amazon explorers came with dreams of fame and fortune beyond their wildest dreams in a search for El Dorado, the legendary "Lost City of Gold". How ironic it is then that days ago, one of the world’s richest and most famous men, David Beckham came to the Amazon jungle to find himself. Before his fellow countrymen took to the field to face Italy in Manaus, the World Cup host city in the Brazilian Amazon, his Showtime documentary, "David Beckham Into the Unknown," premiered, following the now-retired footballer on a journey of self-discovery in the Brazilian rainforest. "I think people will expect if I was making a documentary, that it would be solely about football," he said. "What we wanted to do is do something different, and also introduce people to Brazil who didn't know the parts of Brazil where we were going to, in the way that we did." Over an emotional and adrenaline-packed 90-minutes of a nature David Beckham may not usually be associated with, he travels with three friends on motorcycles across Brazil, traversing the Amazon on a quest for freedom and adventure. Beckham often contemplates his celebrity status, wondering if he'll be recognised in remote areas they are traveling through. "If I do get recognised by a tribe, I'd be really honoured," he choked, but when he encounters an indigenous tribe, whooping and armed to the teeth, not only did they not recognise him, they didn't know what football was. It was particularly entertaining to hear him try to describe it as work. "It feels like another world," he said, gazing into the wild green yonder. As it should - you don’t often come across a 6-meter anaconda on a football pitch or sleep under the stars surrounded by the sounds of the jungle in your LA mansion. The beautifully-shot documentary, directed by award-winning director Anthony Mandler, may not make you empathize with the so-called problems of a multi-millionaire, but it does go some way to show you the riches of the Amazon and the humbling impact a rainforest experience can have on all of us, no matter how famous we are. Interested in following David Beckham's footsteps to the Amazon rainforest yourself? 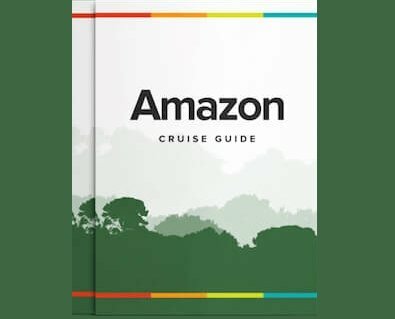 Take a look at our Amazon River Cruises.